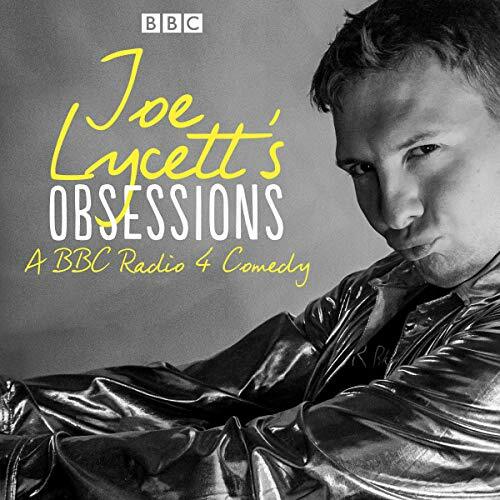 Joe Lycett explores the nation's weird and wonderful obsessions by getting to know a selection of famous and not so famous guests. Hear Katherine Ryan share her love of the Kardashians, Greg James introduce Joe to the world of cricket and Janice Connolly share her collection of decluttering books. Can Lloyd Griffith inspire you with his adoration of fire engines? Or will June Sarpong get you into Hula-Hooping? Guests include comedian Katherine Ryan, Radio 1 DJ Greg James, comedian Janice Connolly, broadcasting legend Nick Owen, comedian Angela Barnes, author and performer Adam Kay, comedian Lloyd Griffith and broadcaster June Sarpong. Joe also welcomes members of the public to share their secret passions as well as inviting a weekly VOP (very obsessed person) to introduce their weird and wonderful collections of curiosities (not for the faint-hearted)! Written and performed by Joe Lycett, with material from James Kettle and additional material from Laura Major and Mike Shepherd. I enjoyed listening to that broadcast which has a dimension thanks to its fabulous and surreal host Joe Lycett.